Cakey cookies and chewy cookies, molasses cookies and sprinkles cookies, shortbready cookies and vegan cookies. All of them, in one sense or another, are classic and pure. This is all very exciting for a once-demure sugar cookie. Butter and sugar act as background singers, amplifying the turmeric. Given the spice’s unusual, front-and-center, sweet context, we couldn’t help but feel like we were meeting it for the first time. 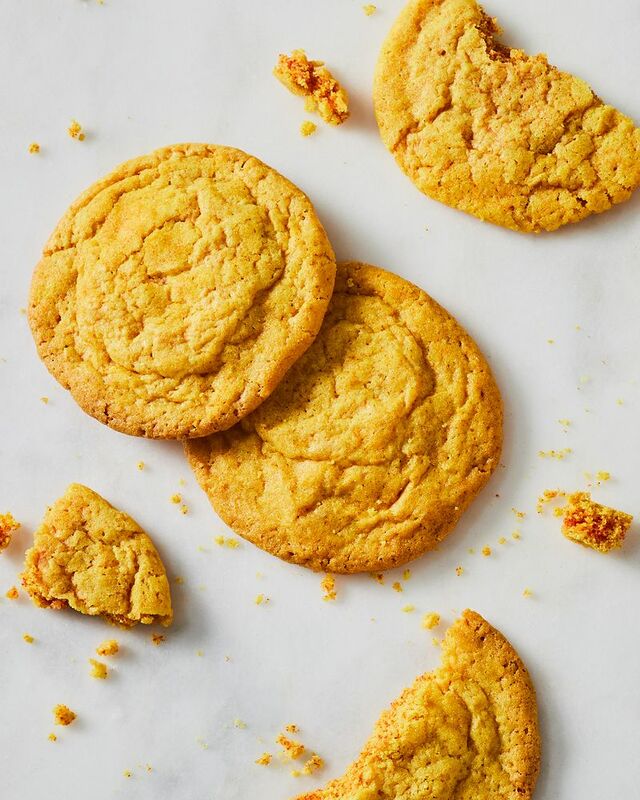 Of course, any cookie—especially a sugar cookie—is as much about texture as it is about flavor. For me, there’s only one way to go: crispy edges, chewy center, with a wrinkly, crackly crust. To create the last, I rolled the dough balls in turmeric sugar. Which, yes, is more turmeric. But this is a good thing! Trust us. Do you have a sugar cookie soulmate? Tell us all about it in the comments!